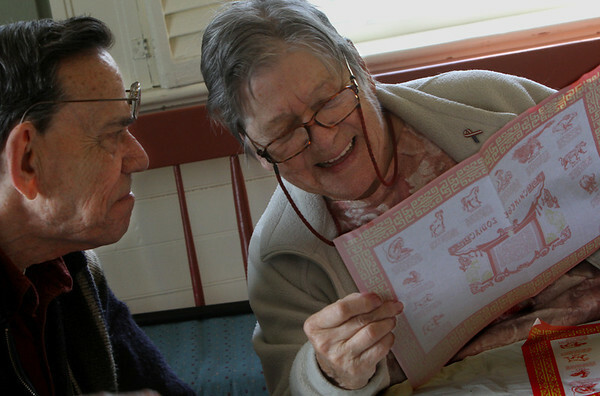 Peg Shea, right, and Bill Parsons share a laugh Friday as they read about the Chinese zodiac on a place mat during a Chinese New Year's luncheon at the Rockport Senior Center. "He's the rat and I'm the monkey," said Shea. The luncheon, sponsored by the Rockport Council on Aging, featured Chinese food from Horizons restaurant and Beatles music from the Glass Onion band. Friday marked the beginning of the Year of the Horse on the traditional Chinese calendar.